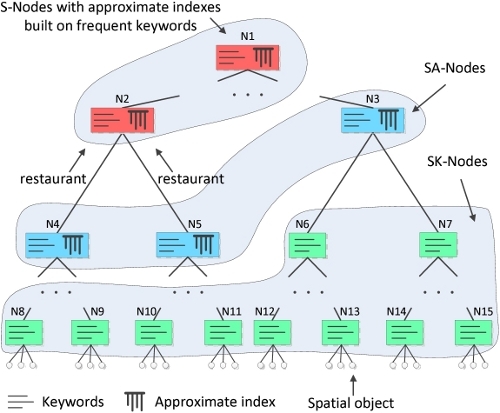 This module provides location-based approximate keyword search. For example, it can answer queries such as find Alkatras near San Fransisco. Notice that Alkatras is misspelled but the LBAK-Tree can still find useful answers. 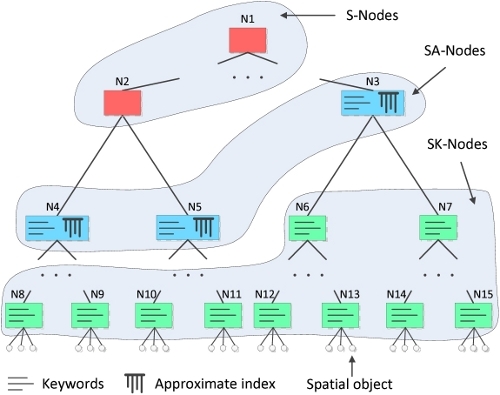 In short, the LBAK-Tree answers queries with a spatial component and a keyword component, where the keywords don't need to match exactly but approximately. 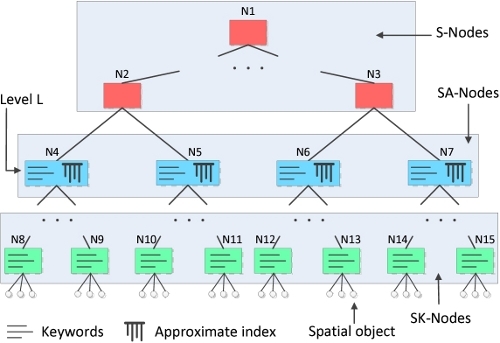 The LBAK-Tree is based on a hierarchical spatial index that is enhanced with inverted indexes for approximate string lookups. In our implementation we use an R*-Tree as spatial index and use the FilterTreeDoc module (part of Flamingo) to implement the inverted indexes for approximate string lookups. Please have a look at example.cc in the lbaktree/src folder to get started!